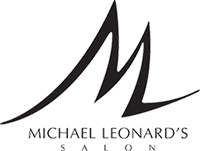 There is a reason why Michael Leonard’s in over 25 years has become one of the top hair salons in Palm City, Stuart Port St. Lucie and the Palm Beach. One of the many reasons is simple – great customer service! We are constantly asking our clients to tell us what they think of us. This is what some of our clients had to say. Ken is an amazing stylist at Michael Leonard’s salon . He is very knowledgeable and you can tell he keeps up with the latest styles and trends . It is very hard to find someone who can cut women’s hair short and stylish and he certainly knows how to do it . I would highly recommend that you make an appointment with Ken . A great salon ! First time there and it was great! Daniel was so nice and knowledgeable and everyone treated me like a queen. Will definitely be going back! This is the most professional and punctual salon that I have ever encountered. I drive 30 miles every 2 weeks to have my manicure by Karin. I always get compliments about how nice they look. My highlights and haircut are always awesome by master stylist Michael. I have been going to his salon for 26 years and never disappointed. I have returned to this salon several times since my first visit and am happy to report that each visit has been exceptionally pleasant in all areas. Even phone calls to book appointments have improved significantly. Stephanie is a terrific hairstylist and I will continue to visit her while I am in Florida.